There’s a reason the classic Christmas dinner has stood the test of time all these years – it’s damn tasty. Make this year’s feast the best yet with our ultimate traditional Christmas banquet. Great British Chefs is a team of passionate food lovers dedicated to bringing you the latest food stories, news and reviews. For many of us, it just wouldn’t be Christmas without a huge turkey and all the trimmings come 25 December. Those who say turkey is a dry, bland meat or that they’re sick to death of Brussels sprouts just aren’t cooking them properly; when done right, they become the best thing about Christmas. You can take your presents, your TV specials, your time off work – give us a heaving feast of festive food and that’s all we need. If it’s been left to you to sort out the Christmas dinner every year in the past, you no doubt have particular recipes you like to fall back on. But there’s always some little part of the festive spread that you can improve. Take a look at our perfect, out-of-this-world menu below and kick things up a notch. 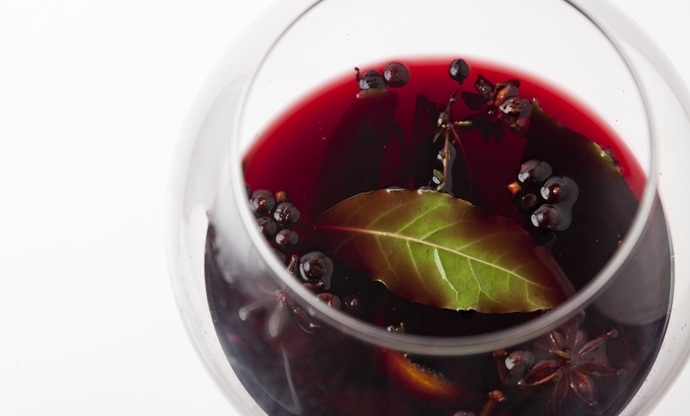 Get everyone in the festive spirit with a big steaming cauldron of mulled wine. But instead of buying in a few cheap bottles, pouring them in a big stockpot and whacking the heat up, make your own from scratch. Adam Gray’s recipe includes all the traditional spices like clove, juniper and cinnamon, but the addition of peach schnapps adds a touch of sweetness that brings the whole thing together beautifully. Want something a little classier to serve to your guests? Marcus Wareing’s cocktails below are delicious festive twists on bartender favourites – the mince pie Manhattan in particular is a stroke of genius. You can’t serve all those delicious drinks without a few little nibbles! Before the main event gets underway, bringing out a few simple bite-sized morsels is the perfect way to warm up for the gorging ahead. 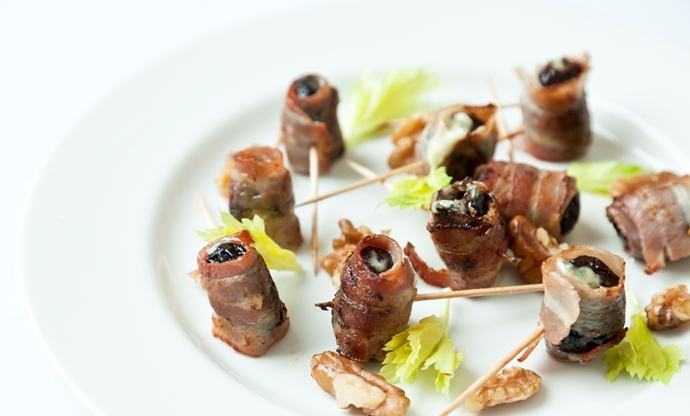 Bruno Loubet’s Gorgonzola-stuffed prunes wrapped in pancetta will be gone seconds after you put the plate down, as will Josh Eggleton’s ever-popular scallop pops. For a truly traditional canapé, however, you can’t go wrong with smoked salmon blinis, with a tiny spoonful of caviar on top for extra luxury. Everyone’s sat down, you’ve pulled the crackers and a fragile paper hat is clinging to your head. It’s time to eat! Smoked salmon is probably the most traditional thing you can serve as a starter, and it’s light enough to leave plenty of room for the next course. 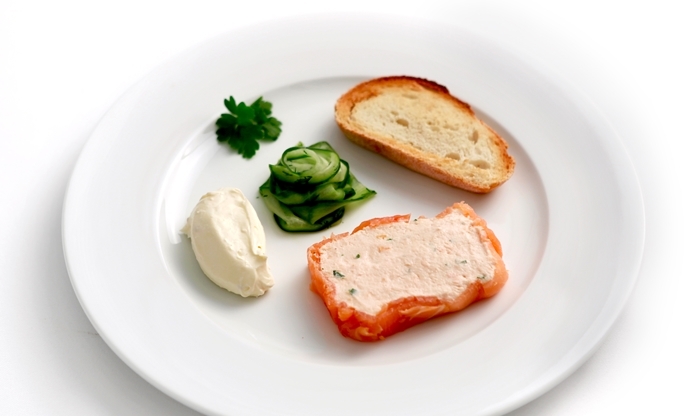 Instead of simple slices of fish, however, create a simple terrine à la Bryan Webb – it marks the occasion so well. Soup is another popular choice, and Dominic Chapman’s is full of seasonal butternut squash. You could also embrace the richness of Josh Eggleton’s duck liver parfait – it is Christmas, after all! Plates cleared? Good! It’s time to put the finishing touches to your main course. Staunch traditionalists, this is your moment; carry the turkey through to the dining room with all its glorious sides and watch as your family oohs and aahs over the sheer size of the bird. 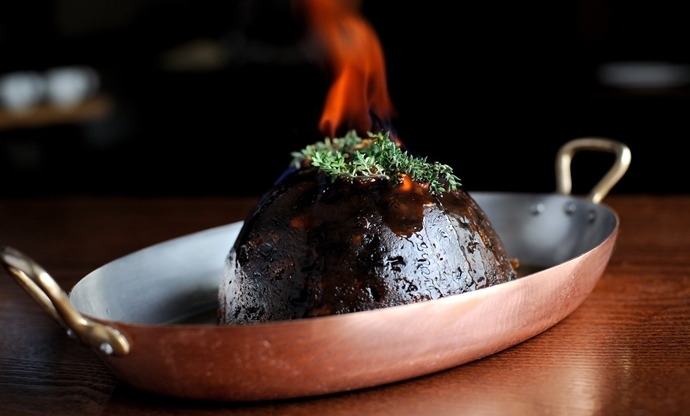 For a failsafe, perfect meal be sure to follow Dominic Chapman’s recipe for every aspect of the Christmas dinner main. Of course, there are other meats which fit the traditionalist category. 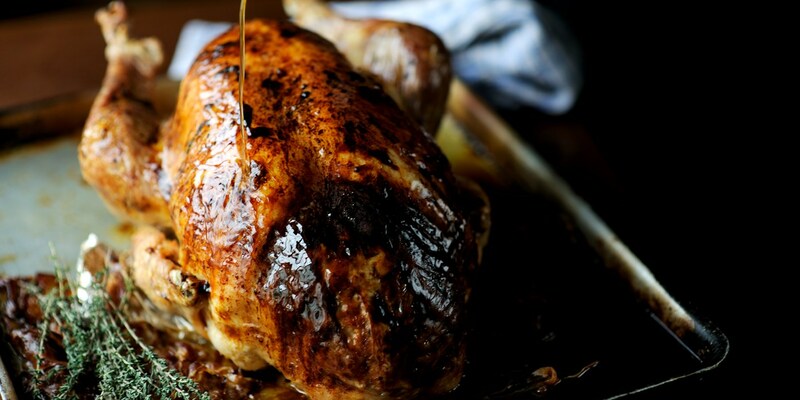 A whole roast ham is just as tasty as any bird, and a few thick slices of Josh Eggleton’s honey mustard-glazed beauty will be the talk of the table. Or perhaps you prefer a perfect piece of beef – if so, you can’t go wrong with Marcus Wareing’s roast sirloin, complete with mushrooms and roast potatoes. Wrap up any leftovers and stick them in the fridge – future you will be very grateful when the Boxing Day hunger pangs kick in. Everyone might be complaining about how full they are, but the second you bring out one of these desserts, suddenly they can all manage just a teeny slice. If you’re the type to think ahead, you’ll have already made your own Christmas pudding, following Dominic Chapman’s faultless recipe. For something smaller, individual but no less rich, try some chocolate and Cointreau self-saucing puddings (cream is a must), or plump for a yule log – something Victoria Glass pulls off with panache. 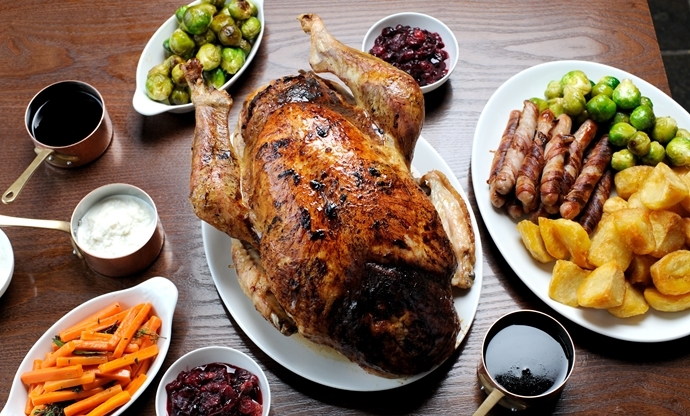 Take a look at our menu picker to find the Christmas dinner that's right for you.